Everywhere you look during your stay in HBy is Camana Veglia: a property offering to its guests endless and pleasant surprises and exudes a rustic but elegant atmosphere. This house, as he likes to call Carla, daughter of Dad Sandro Mottini, follows long time, offers its guests unforgettable moments, in which the best holiday merges with the truest friendship. 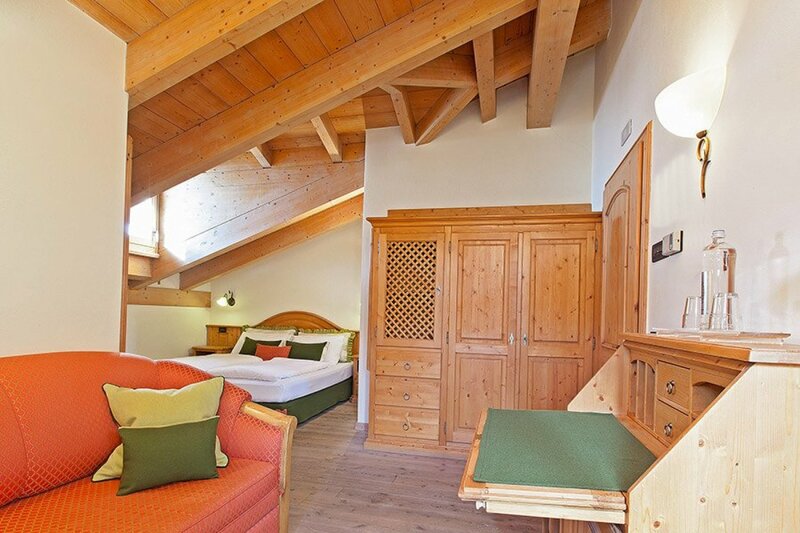 Camana Veglia is a warm and harmonious environment, with attention to detail. The twelve rooms are different from each other but each one has its own special note to meet every need. Our rich breakfast buffet is our way to wish you a good day. For your comfort we have ski storage facility with ski boot dryer. We have parking outside or at the request of a garage riscaldato.tel Galli Livigno, you'll notice those little signs that indicate the presence of a loving hand to the continuous search for improvements to increase your well-being. It is certainly not the love that is missing in the Romantik. 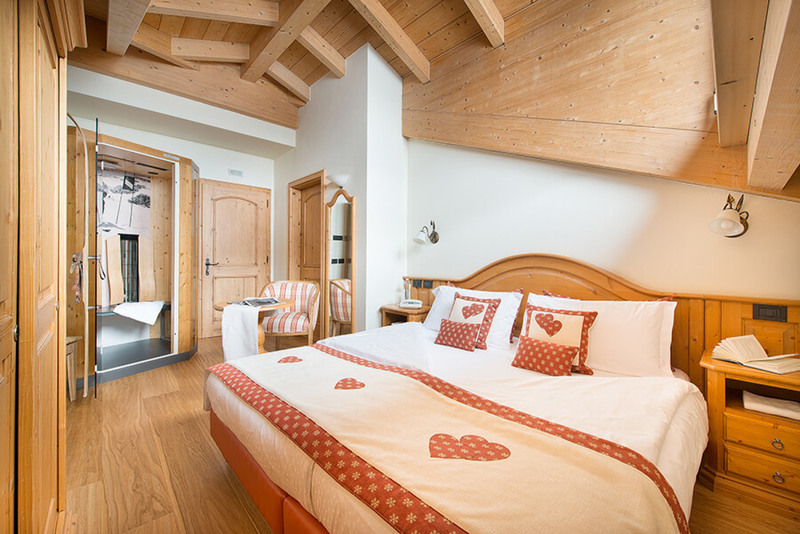 Two have a canopy bed, another with carved headboard is the room for the romantic skiers who may be communicating with the neighboring room. And what about the room with the collection of padlocks and antique locks with infrared cabin. The rooms of about 18-20 square meters, are for the most part with a balcony. Some in the attic offer views of our beautiful mountains, some give the other to the south to the north. Shower or bath in the bathrooms. 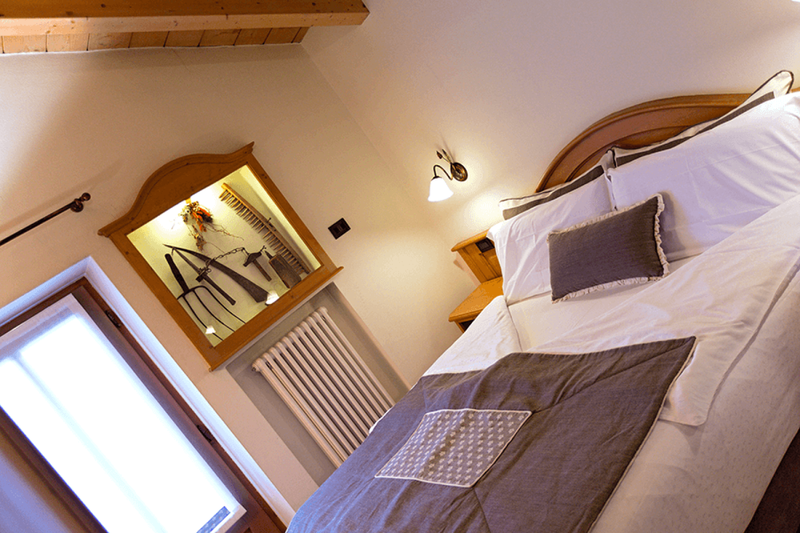 Opening the door is the scent of pine wood to wrap together with soft, warm colors of natural fabrics of the curtains, pillows and carpets woven in Valtellina. Nothing is here by chance: the spinning wheel, old coffee grinders are two of the collections in this type of room. 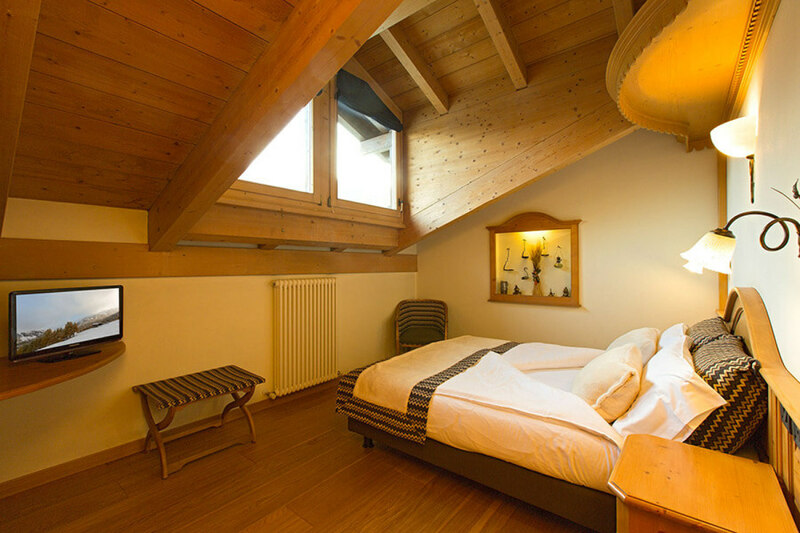 Two have the masonry stove, some in the attic have the larch beams that seems to be in a chalet on the balconies and welcome you warm blankets to enjoy the starry sky even when the cold is more pungent. 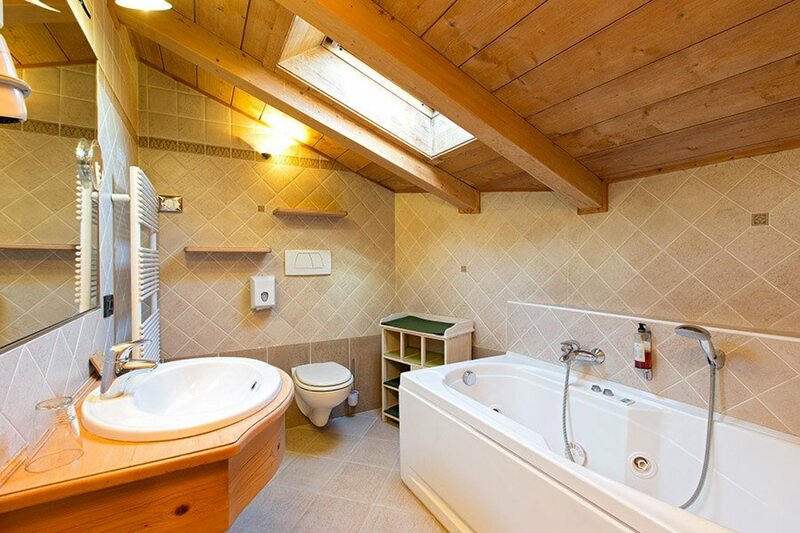 In the bathrooms the shower cabin with steam bath or hot tub to unwind after a beautiful skiing or after that wonderful walk in the Stelvio National Park. In these rooms of 23-25 square meters it is expected to add a bed if required or a sofa bed. Only two specimens, one of which is in the attic, many cuddles in just 14 square meters, single mattress for great comfort from 150cm x 190cm, bathroom with shower and water jets, balcony. A little treat as a single, an enveloping atmosphere to sleep in two very close.